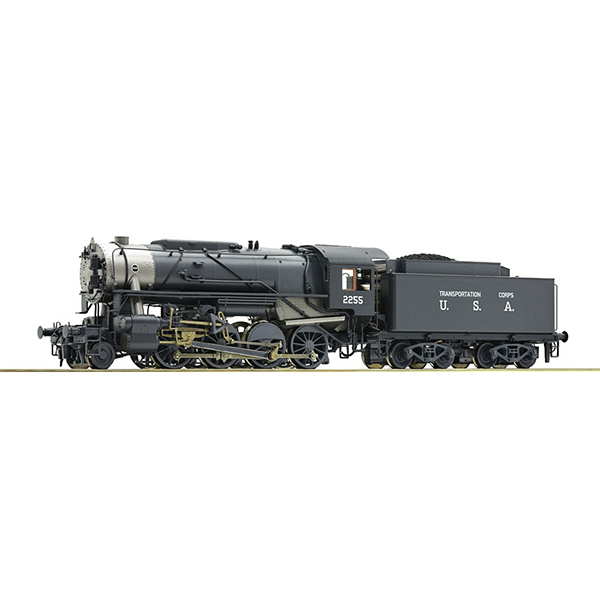 Model Description: Steam locomotive S160 of the United States Army Transportation Corps. Intricately detailed model with separately applied etched parts. Motor with flywheel. Set of intricately designed wheels with low flanges. .